CHARLOTTE -- The Carolina Panthers have won two straight NFC South championships and have one playoff win to show for it. "A lot of it is the expectations that people have put out there," Rivera said. "The biggest thing we have to do is maintain our expectations and we can't let outside expectations get in our way and distract us. It comes back to what we expect from us and what we want to accomplish." "I think Mike and his offensive staff have found a formula, and we took that formula and used it during OTAs and minicamp," Rivera said. "It went well and I'm really pleased with that." Kelvin Benjamin showed star potential as a rookie with a 1,000-yard season and nine touchdowns. He'll start alongside veteran Jerricho Cotchery, although rookie second-round pick Devin Funchess will see plenty of action. The team also brought back Ted Ginn Jr., a key role player in their 12-4 season in 2013, and Rivera is high on the speed Corey "Philly" Brown and Stephen Hill bring to the table. 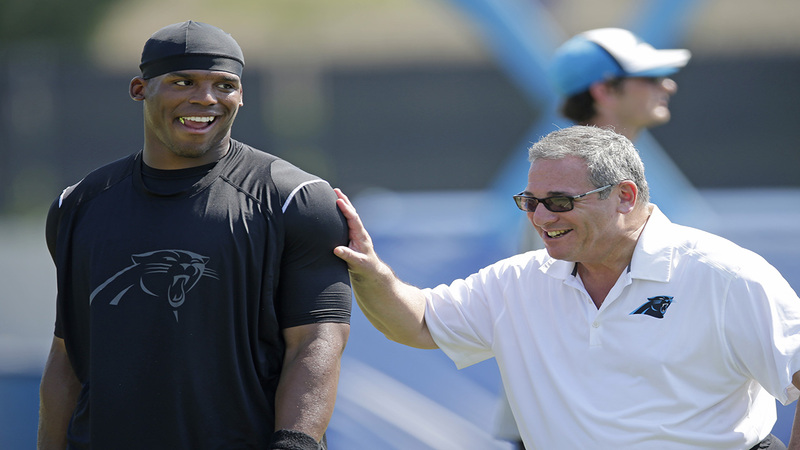 "It will give Cam so many more options," Rivera said. "One thing we've talked about is making sure you put playmakers around your quarterback and I think that is what we've done."